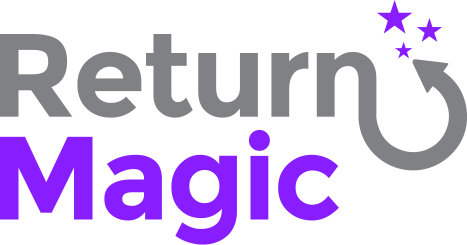 Return Magic currently integrates with some third party platforms to offer you the widest variety of carriers possible, as well as the possibility to integrate with multiple carriers at once. That means that we do not support direct integrations with carriers. You will need to use a third-party app to generate labels. For more information on how billing for your labels work, check this out! These integrations offer different pricing models and feature sets. We highly recommend to take a look at the table below to choose the best shipping partner for your business. Please make sure you check the other characteristics to look out for as our integration with these shipping partners may have some carrier-specific restrictions. If you already know which shipping platform you want to use, then skip to the setup section! Please note that the platform you use to ship out your orders will not be affected by what you choose to use to manage your return labels. Most of our merchants use a different platform for outbound and inbound, and there doesn't seem to be any downside to it. How to choose the best platform to suit my business? Here is a comparison chart to choose the best integration for you. Of course, if you ship within Canada, we highly recommend using the direct Canada Post integration. This gives you access to scan-based return labels regardless of your account type with Canada Post. There is a full dashboard to manage your shipments from. One-off labels for exceptions need to be generated through their API, and that's the case for most of the actions you would want to take using EasyPost. Do you want to use FedEx? Use Shippo (all services) or EasyPost (not available with FedEx SmartPost). With ShipStation <> FedEx, you will randomly receive some errors that you should be able to bypass by retrying labels, but those errors will happen and cannot be avoided. Do you want to use Royal Mail? Use EasyPost. You will need to reach out to support@easypost.com with your Royal Mail account number to request uploading the rates you'd like to use for your returns. Return Magic will automatically create manifests for you (required by Royal Mail). Do you want to use UPS Mail Innovations? Use Shippo. We do not support Mail Innovations with EasyPost and ShipStation. Do you want to use Australia Post? You will need to use Shippo and enable signature confirmation when setting up the integration. Manifests will be generated automatically for you. Not supported at all on ShipStation or EasyPost. Do you want to use USPS Media Mail? Use Shippo or EasyPost. It is not supported with our ShipStation integration. How can I get setup with my shipping partner? How to setup my Shippo integration?